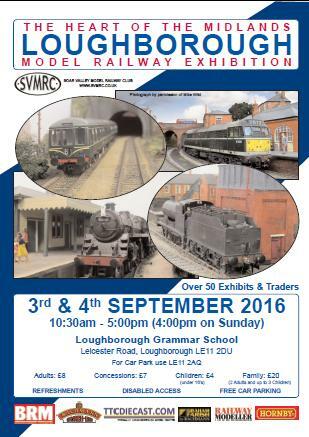 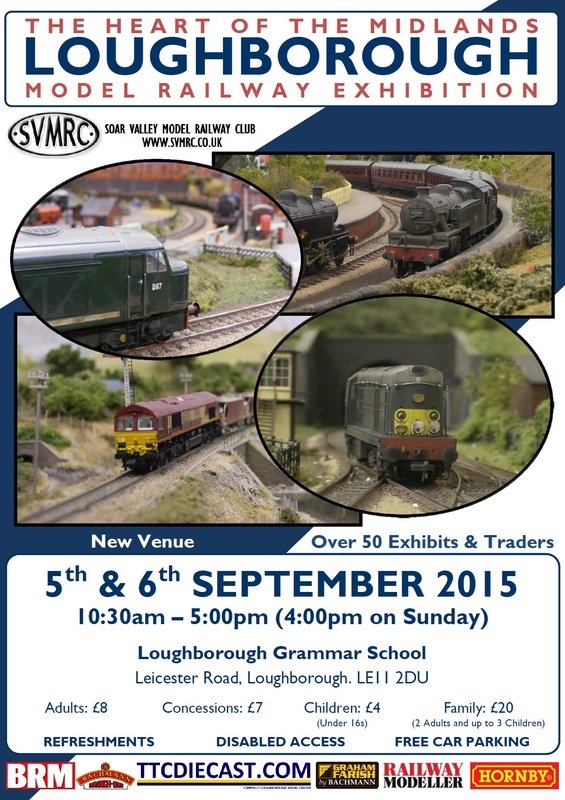 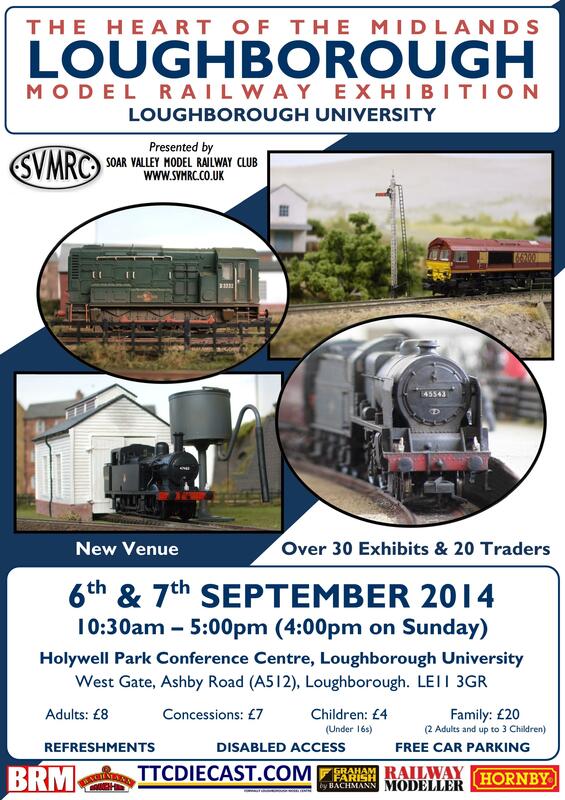 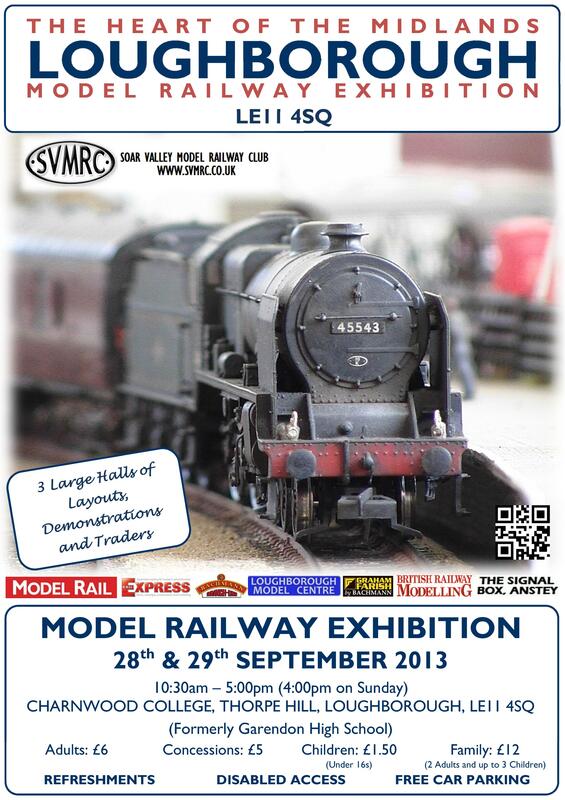 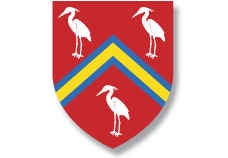 "THE HEART OF THE MIDLANDS MODEL RAILWAY EXHIBITION"
For directions to Loughborough Grammar School, click here. 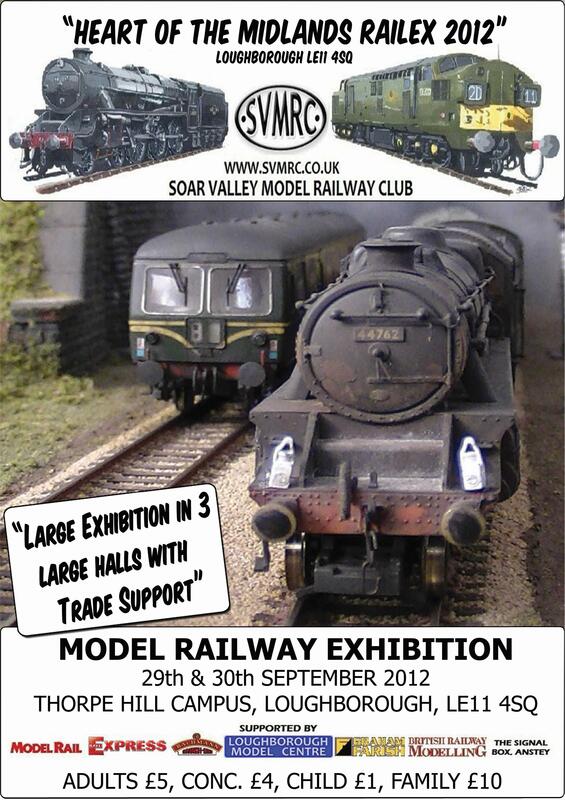 For more information, or to send us details of your layout, please send an email to soarvalleymrc@gmail.com or phone the secretary on 01530 450 187. 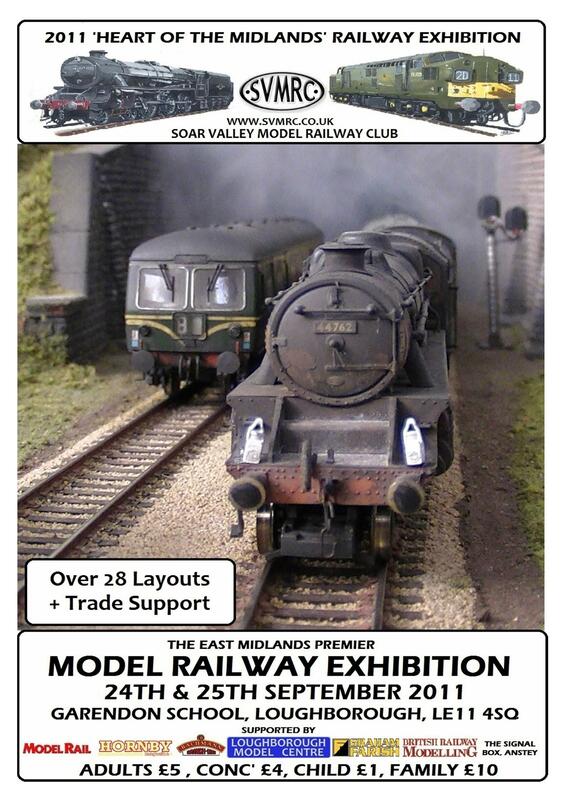 If you would like to exhibit your layout at one of our future exhibitions, please send us details of your layout to soarvalleymrc@gmail.com.